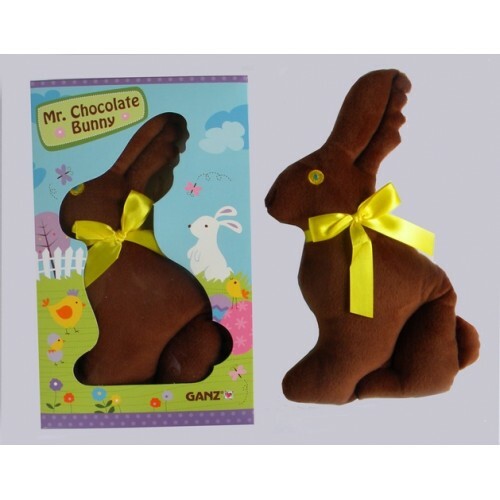 11.25 " H.; You have to look twice at this--it looks just like the Chocolate Easter bunnies you used to get in your Easter basket, but IT IS PLUSH!! Surface Washable! Recommended for Children 3 Years and up.